Huayi Brothers, China's largest movie production company, has released six new posters for its upcoming WWII espionage film, "The Message". 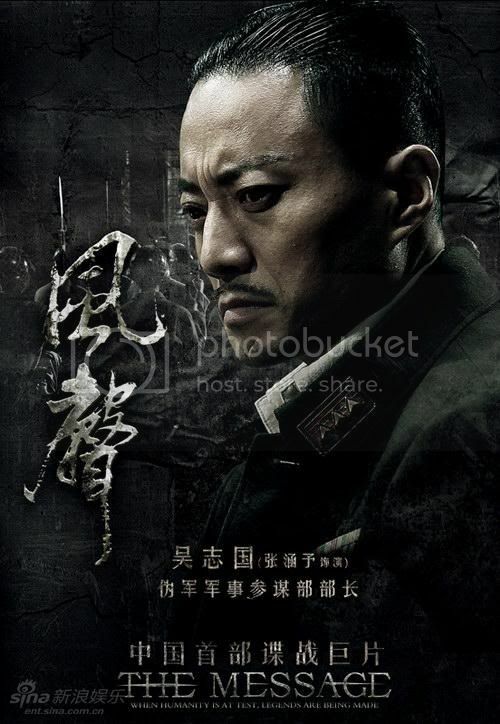 The thriller tells about the factional infighting in the Japanese-controlled Chinese puppet government in the 1940s. 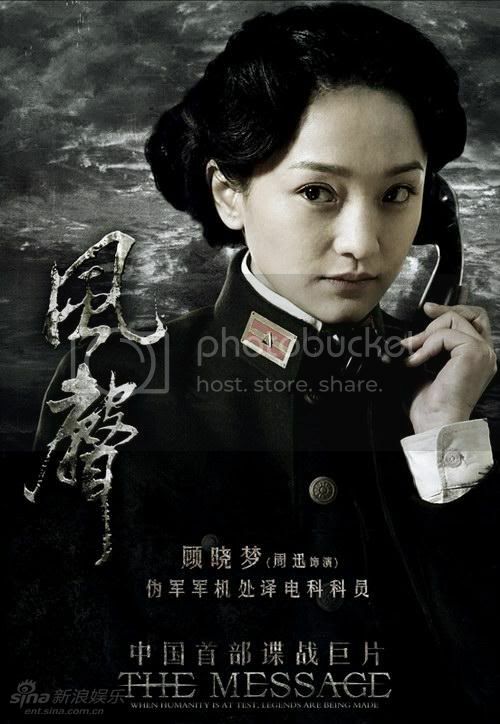 A-list actresses Zhou Xun and Li Bingbing are featured as two code-breakers. 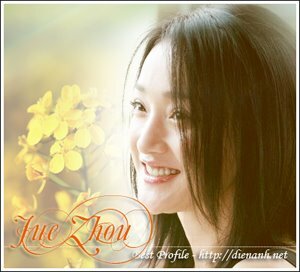 Zhou Xun, best known for her highly emotional roles, puts on an impassive and thoughtful face. 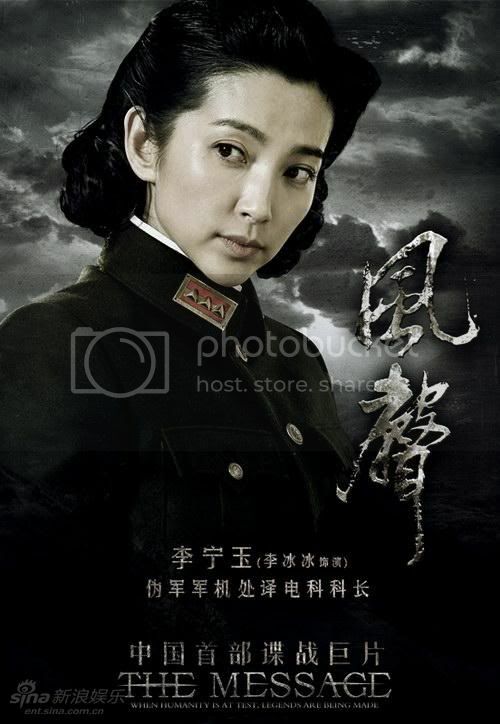 Li Bingbing, who plays the senior of Zhou Xun, appears in the poster with a questioning, sober and intellectual look. 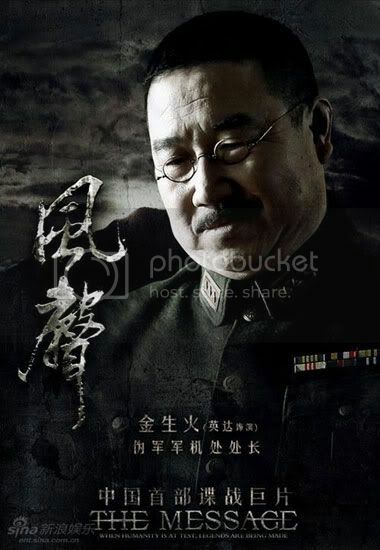 Zhang Hanyu, Ying Da and Wang Zhiwen are cast as three senior military officials, all deeply ambitious politicians. 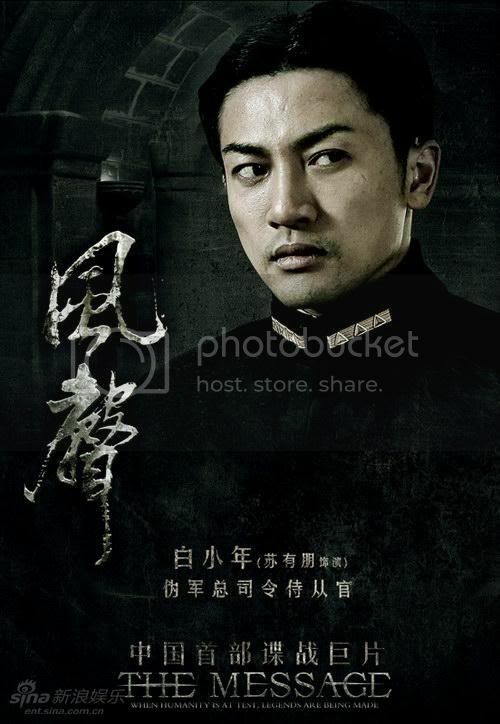 A fake scar on Zhang Hanyu's chin is the only unexpected element in the posters. Alec Su, who plays the assistant to the commander in chief, may be making the biggest career shift with the new film. Donning military uniforms and affecting an almost vicious gaze, he looks completely different from his sunshine-boy image.